December 11, 2013 By This post may contain affiliate links. Christmas is a coming and the best way to save time is to combine two traditional desserts into one tasty treat! Make these Eggnog Custard Gingerbread Men flavored with caramel cocoa and they will surely knock your stockings off. 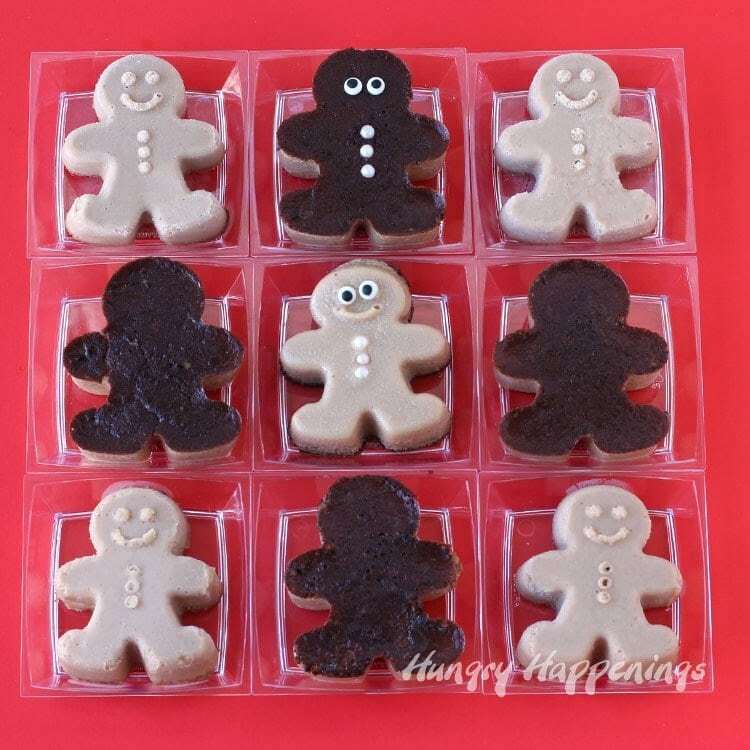 The holidays are a great time to make and give gifts of gingerbread. 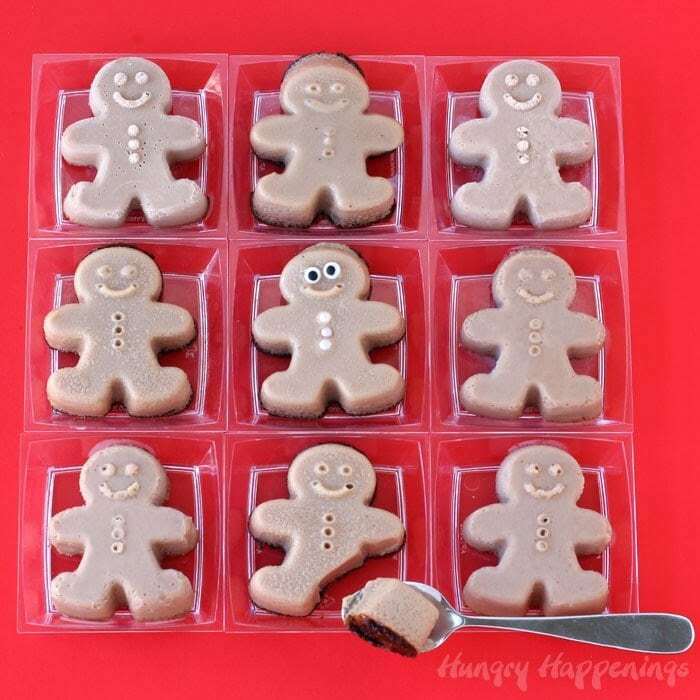 Today, I’ve teamed up with 19 other food bloggers who have created projects featuring gingerbread for our Give the Gift of Gingerbread Blog Hop and Giveaway featuring 20 Fun Gingerbread Themed Recipes. I love seeing how each blogger put a festive twist on a traditional favorite. 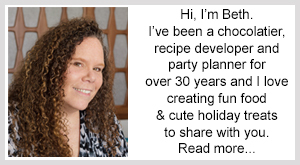 Before you go, check out my recipe and our big giveaway. 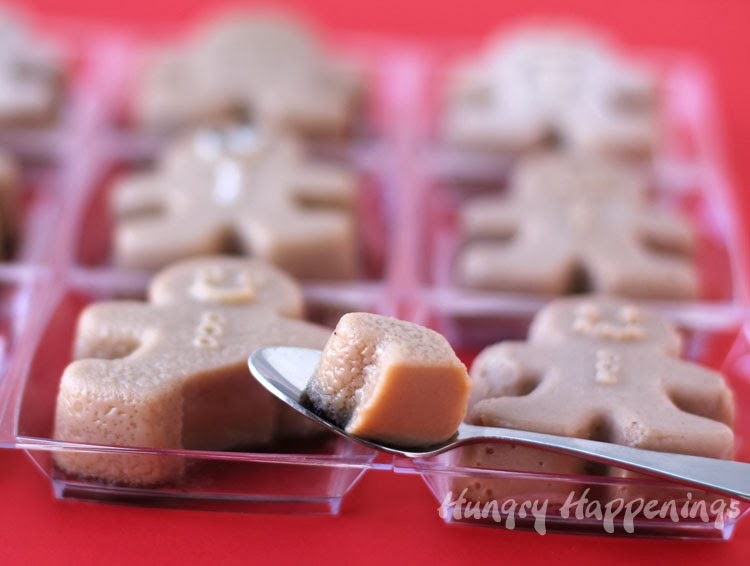 My contribution to this Give the Gift of Gingerbread Blog Hop are Caramel Cocoa Egg Nog Custard Gingerbread Men. Now that title is a mouthful, I know, but I didn’t want to leave anything out. These velvety smooth little desserts are bursting with caramel flavor accented by hints of cocoa and egg nog. When I first saw the carton of Caramel Egg Nog in the refrigerator section of my grocery store, I immediately knew I’d be baking something with it. It’s wonderful served as a drink, but even better baked into a flan or custard. The caramel flavor is predominant which my egg nog hating husband appreciated. There are notes of nutmeg and cinnamon in the dessert, but they are quite mellow. 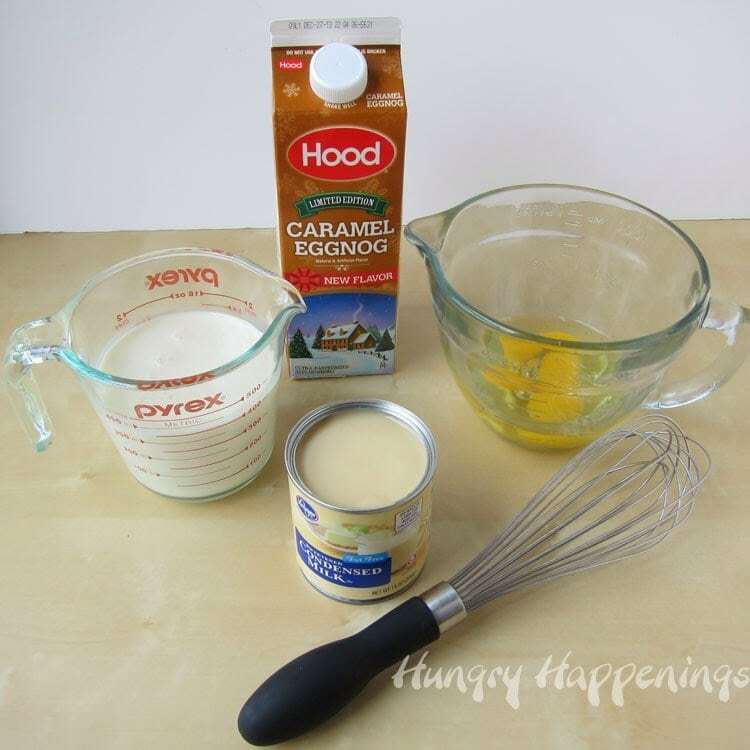 If you love egg nog, and can’t find the caramel flavor in your store, just swap the two out in the recipe. I added some cocoa to the custard to create a richer flavor and darker color, and as it baked the cocoa rose to the top and it formed a crust, which is a nice contrast to the creamy custard. It’s one of my new favorite recipes. I hope you like it too. Heat oven to 325 degrees Fahrenheit. Bring a pot of water to a boil. 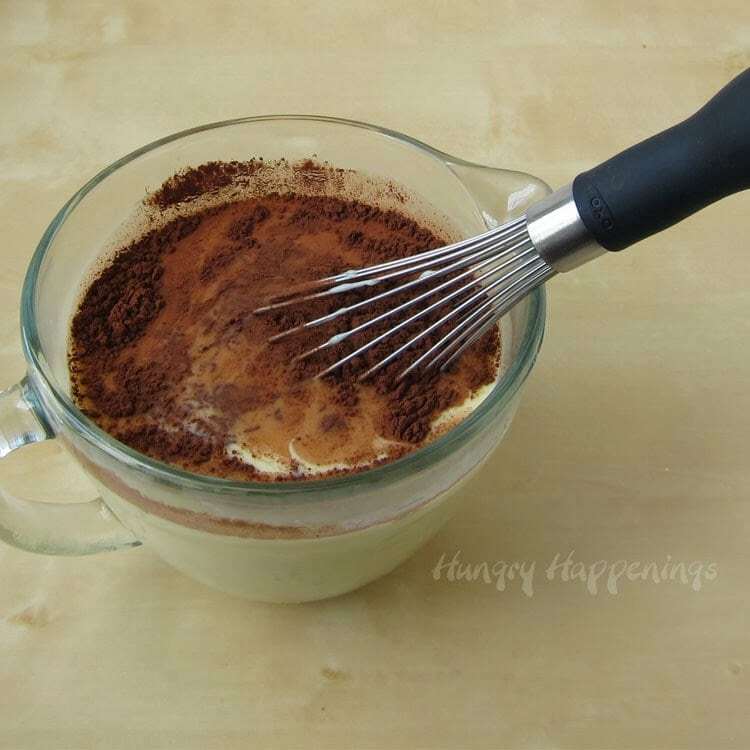 Lightly whisk eggs, Caramel Egg Nog, and sweetened condensed milk together. Stir in the pinch of salt and the cocoa powder. Don’t whisk too vigorously, or you’ll end up with lots of air bubbles in your gingerbread men. 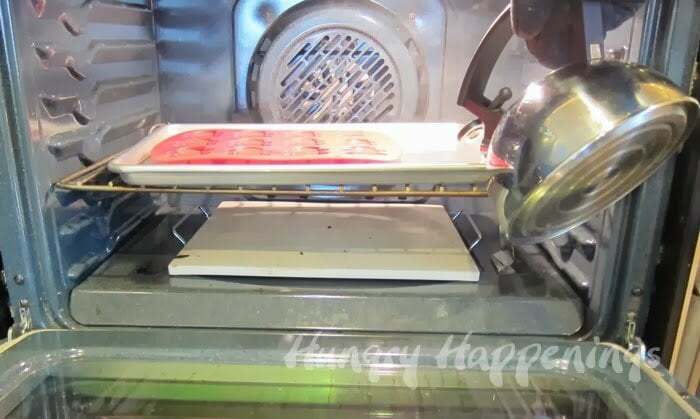 Set the silicone mold on a baking sheet. 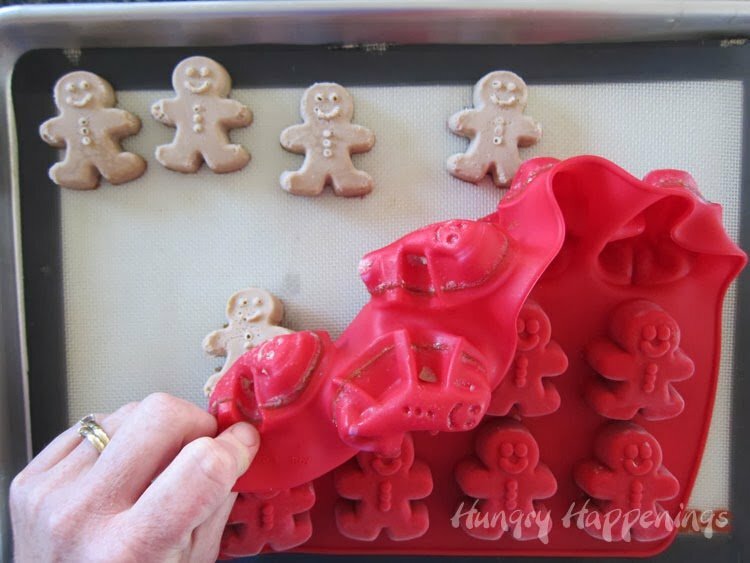 Pour custard into gingerbread mold cavities. I baked one mold at a time. If you have room, you can bake both together. Pour boiling water onto the baking sheet, allowing the water to go half way up the sides of the mold, but not into the mold. Bake for 28-32 minutes. To see if the custard is done, pierce one of them with a sharp knife. It should come out clean. The cocoa powder will have risen to the surface. It creates a bit of a crunchy crust, which I really liked. Cool 1 hour then freeze for at least four hours or overnight. 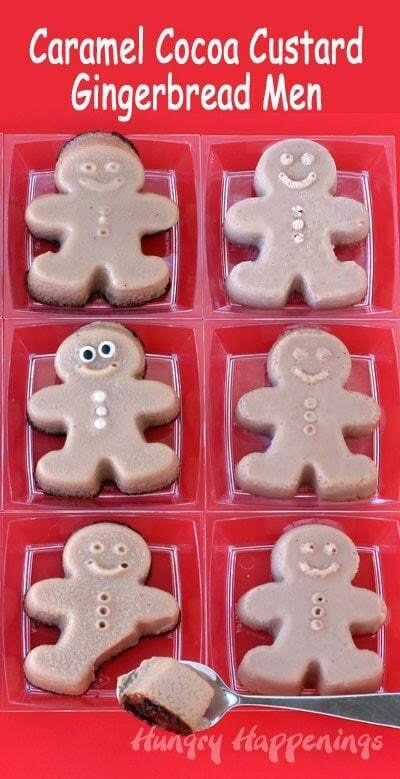 Remove from freezer, turn mold over, and press the gingerbread men out. I suggest you pop them out over small dessert plates, or onto a non-stick mat. Move them while they are still frozen, as they get very soft, quickly. Allow them to defrost before serving. 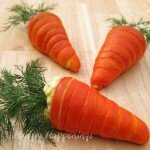 Store in the refrigerator for up to 4 days, or freeze for up to a month. Just before serving, add candy eyes, if you’d like. Don’t add them too soon, or they will bleed onto the custard. Thanks to Wilton for supplying me with the silicone gingerbread mold to make these festive desserts. 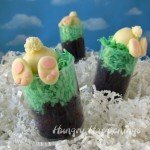 I love working with silicone molds, and Wilton has lots of great molds for every holiday. Adorable as always! Thanks for all of your hard work & hope that you are feeling better! Thanks for bearing with me and working so hard too, Jill. I hope this is all smooth sailing soon, so I can get some rest! That is too funny. I'll tell you why my oven is so clean. A while back I was baking something, set the pan on top of a plastic bench scraper, and put the whole thing in the oven. About 10 minutes later, my house was filled with a noxious smell and my oven rack and bottom were covered in plastic. After we scraped and scraped to get as much plastic off everything, we cleaned the oven. I'm so thankful for a self cleaning oven. So, life in my kitchen is not always neat and clean!!! Thanks! I'm so glad you joined us on this project, Robin. Thanks, Kim. This recipe is really amazing. The caramel egg nog is a great addition. I was happy to see how much my husband liked these. He's picky and hard to please:) I'm glad I did have a clean oven. I don't often take pictures inside my oven, because, believe me it doesn't always look that way! 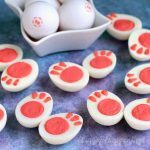 These sound like a real taste treat and they are so cute too! Thanks for your hard work with this project; it has been fun! Hope you are feeling better! Thanks, Sue. As soon as I can get some rest, I'm sure I'll feel better. It is challenging putting together these group posts, but it's so fun to get to work alongside so many talented bloggers, like yourself. i'm going to have to try out this recipe! 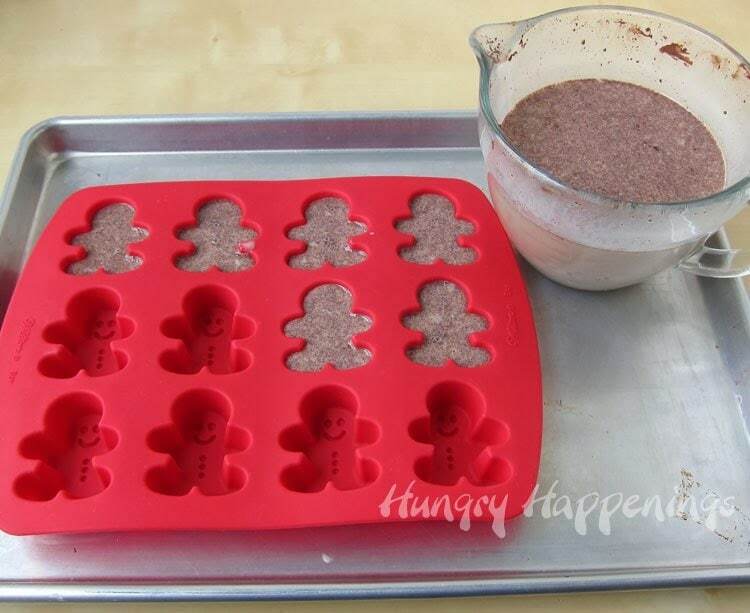 Never had custard but I love egg-nog and gingerbread men, def gonna give this a try if I ever get any silicone baking pans. 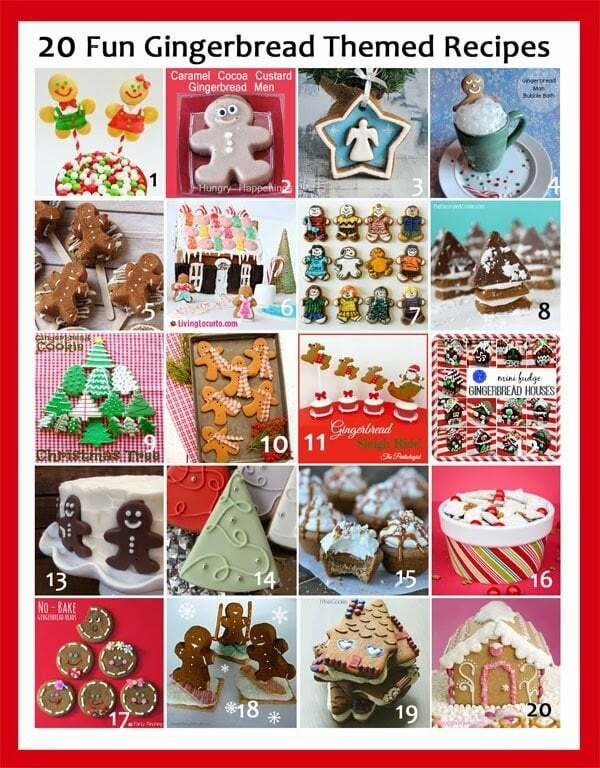 Thanks for the opportunity to win some tools for my baking addiction. 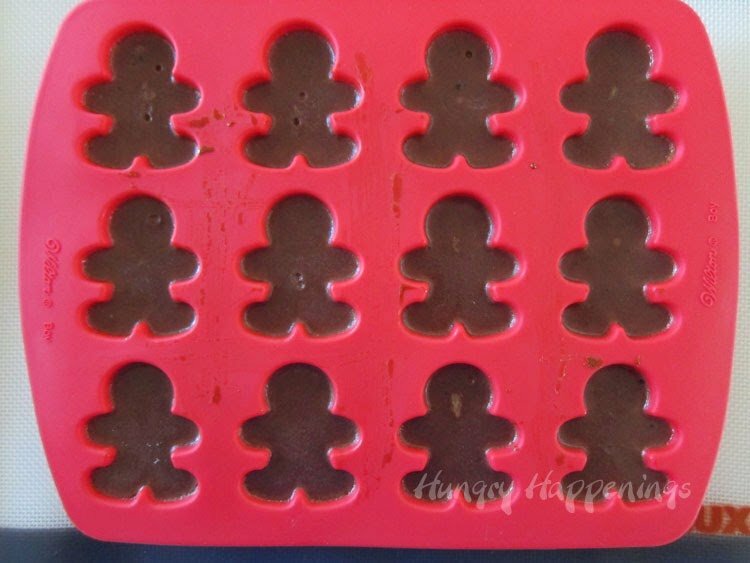 I use silicone molds so often, and I highly recommend adding some to your kitchen supplies. This recipe would be great with plain egg nog, or the spiked kind as well! Beth, what a delicious version of gingerbread men! I am pinning this to try for the future! Thanks for all your work for this hoppin' party! Such a great giveaway, would love to win this one!! 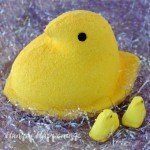 I love all these silicone molds. 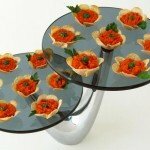 They are so versatile because you can bake with them, or use them to shape cooler things like chocolate or gelatin. Now, I just have to figure out where to store all the ones I want! I love them too, but they are not easy to store. They don't stack. That's the only thing I don't like about them. Luckily I have a lot of cupboard space. 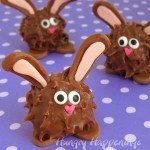 these little guys are so cute and sound delish! thanks so much for organizing with Jill and including me! !